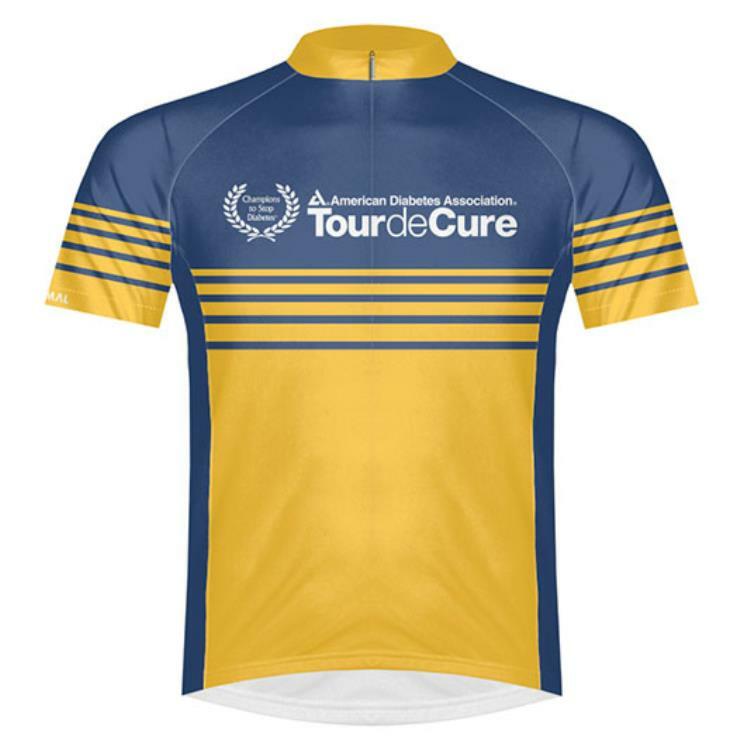 Unisex Sport Cut Cycling Jersey - Primal Sport Cut Jerseys are crafted with elite fabrics and advanced fit technology to provide the most comfortable riding experience. Utilizing industry leading SpeedPro fabric, these jerseys are designed to wick moisture from the surface of the skin and push it to the face of the jersey to evaporate. This push-pull moisture management system allows the body to maintain a consistent, comfortable body temperature. 3/4 length invisible YKK zipper and 3 rear pockets. 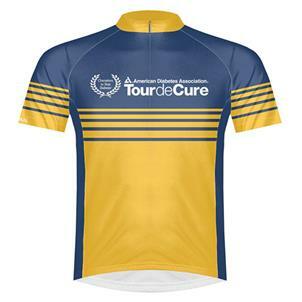 Customized with 2016 25th Anniversary Tour de Cure graphics.